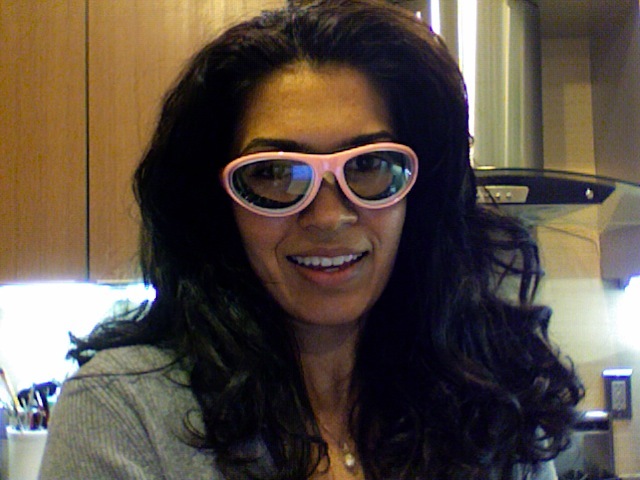 I don't know about you, but my love/hate relationship with onions has been downright painful; I teared up, winced in pain, had to take mid-cooking eye-rinse out breaks, and even resorted to omitting onions from my recipes...that is, until I got my onion goggles. My onion goggles are a superior alternative to the saran wrap solution I once tried; they block out all irritants, allow me to see clearly, and unlike the swimming goggles I tried to wear through a particularly long onion dicing session, they don't hurt! I bought mine on Amazon a few years back (Sur La Table also carries them if you want to try these puppies on before buying), and I haven't looked back once. Your friends and significant other may snicker, but who cares so long as you're tear/pain free!